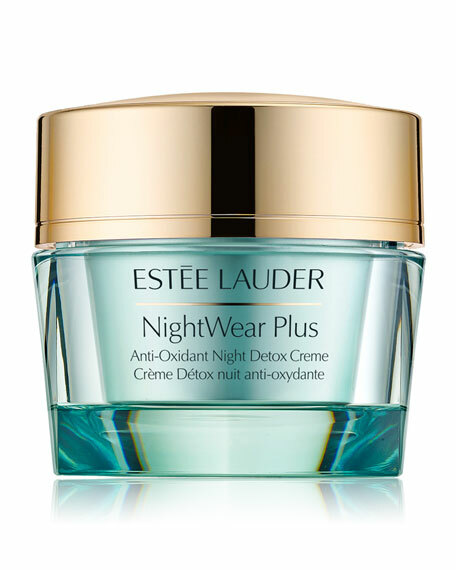 Estee Lauder NightWear Plus Anti-Oxidant Night Detox Crème, 1.7 oz. This refreshingly lush, yet lightweight night creme helps skin detox from the visible effects that accumulate during the daypurifying and refinishing skin's surface and visibly reducing pores. Formulated with the power of DayWear's proprietary Super Anti-Oxidant Complex to deliver deep, long-lasting moisture. Nighttime skin-soothers help minimize irritation that can peak at night. Now, detox by night, defend by day with NightWear and DayWear. Apply PM after your Repair Serum.